Thousands are expected to take part in nationwide protests across India on Monday against the government's withdrawal of two ubiquitous currency notes. The 500 and 1,000 (about $7.50, $15) rupee notes were withdrawn earlier this month, turning 86 percent of the cash in the country to paper. The anti-corruption measure caused chaos as cash machines began to run out of money with people rushing banks to exchange their old currency. The banks called in thousands of police to manage long lines outside branches. Almost all of India's transactions are in cash and many people don't have a bank account. According to the opposition parties, the so-called ‘day of rage’ protests are likely to take place at central government offices as well as outside banks. The main opposition Congress party will hold a protest march in the southern city of Bangalore, where several thousand people are expected to participate, the BBC reported. No-one is happy with the government’s demonetization move, the parties say, adding the old notes should be returned. "The 1000 and 500 rupee notes should be allowed for all legal transactions, payments and settlements… till alternative arrangements of making new currency notes available is put in place or until 30 December," the Communist Party said. 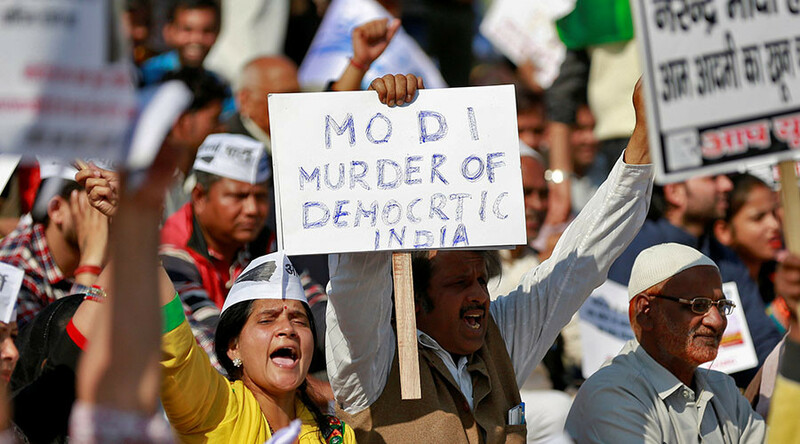 Public anger and frustration were on the rise after the Indian government decided to get rid of the notes citing tax evasion and corruption. Indian Prime Minister Narendra Modi has called for people to embrace digital payments and use less cash. 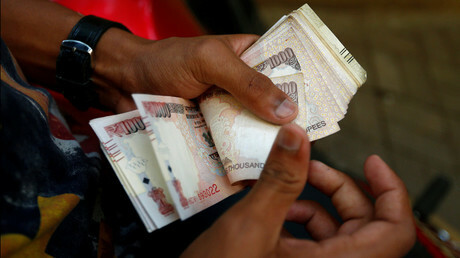 Former Prime Minister Manmohan Singh, however, called the government's move to ban the much-used banknotes a "monumental mismanagement," predicting the country's gross domestic product to fall "by about two percent" as a result.